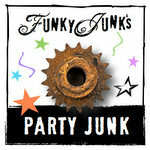 With Valentine’s Day fast approaching, I thought it would be fun to revisit the land of salvaged junk hearts. We junkers are a different breed, are we not? Not that there’s anything wrong with sparkles and glitter, but we love our hearts with low sheen finishes, with a healthy dose of repurposed materials. Simple, sweet and beautiful. And actually, I need one! 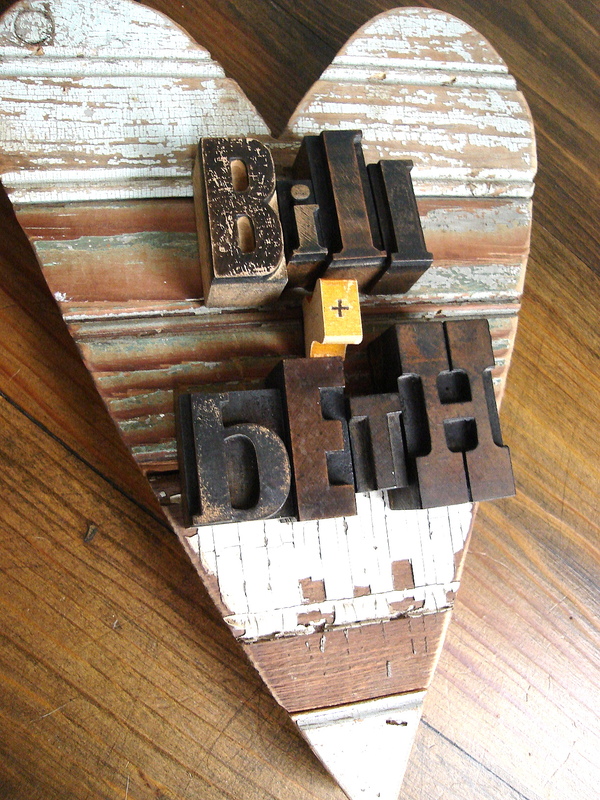 Wood scraps are not to be overlooked! Time to purchase a small saw of sorts… I adore this treatment. Doesn’t this layered heart appear to absolutely radiate love? 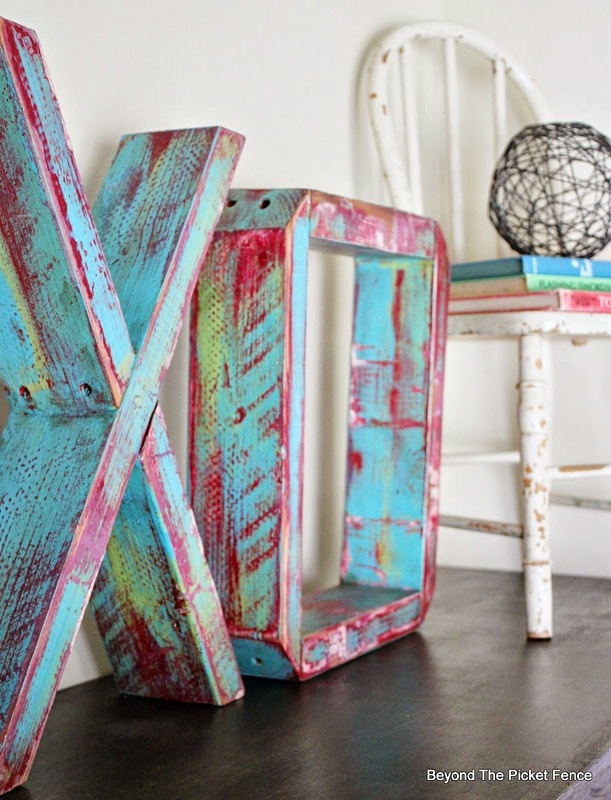 White and wood… with a junky love message. How perfect. 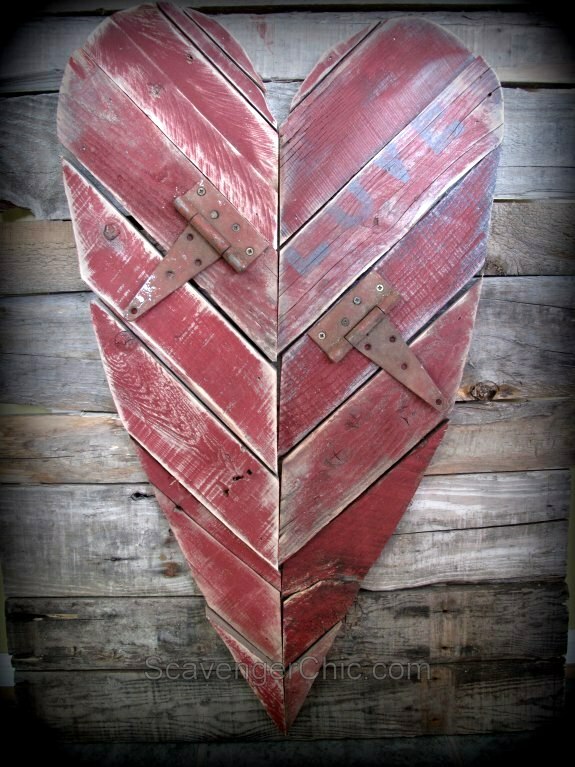 The red patina and tall shape of this heart really drew me in! Perfection. 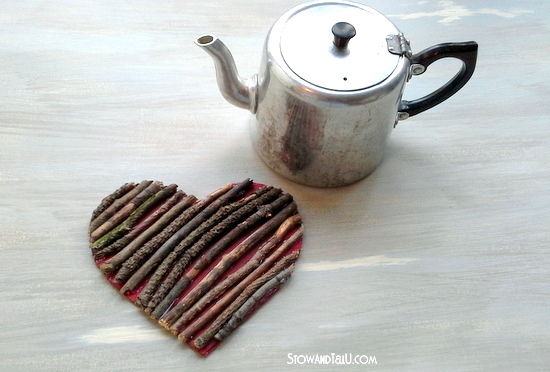 The PERFECT thing to do with leftover trim. Love the textures and how the colours alternate! 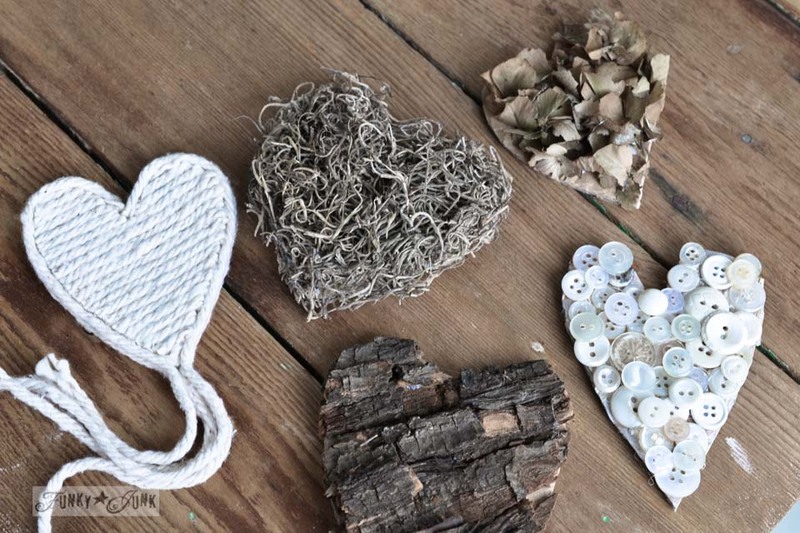 If you have bark, buttons or even string, you too can have the cutest salvaged materials hearts in the land. These take minutes to make! Desire more? 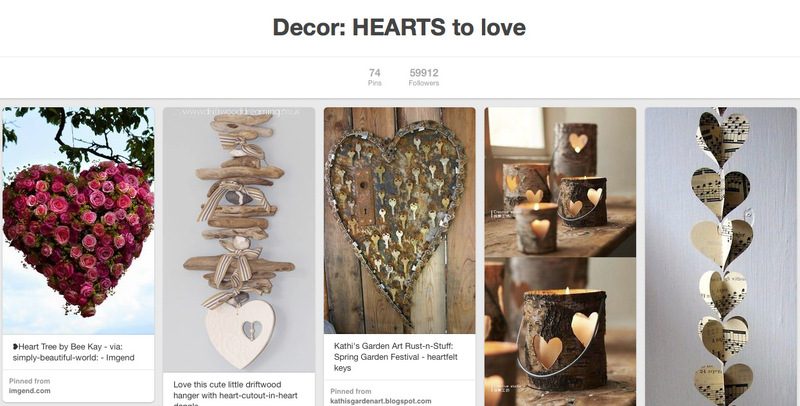 Follow my Pinterest board Hearts to Love! It’s pretty gorgeous! 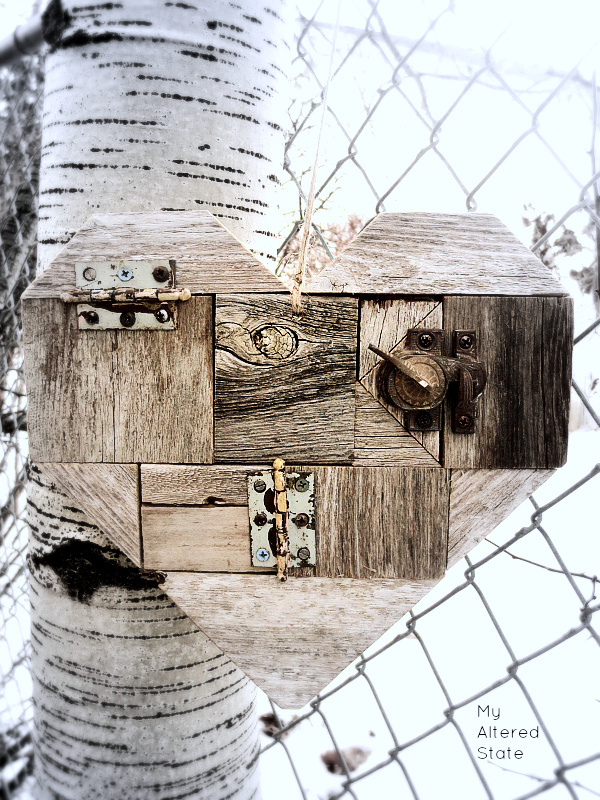 AND… Be My Valentine, a collection of hearts on Hometalk. 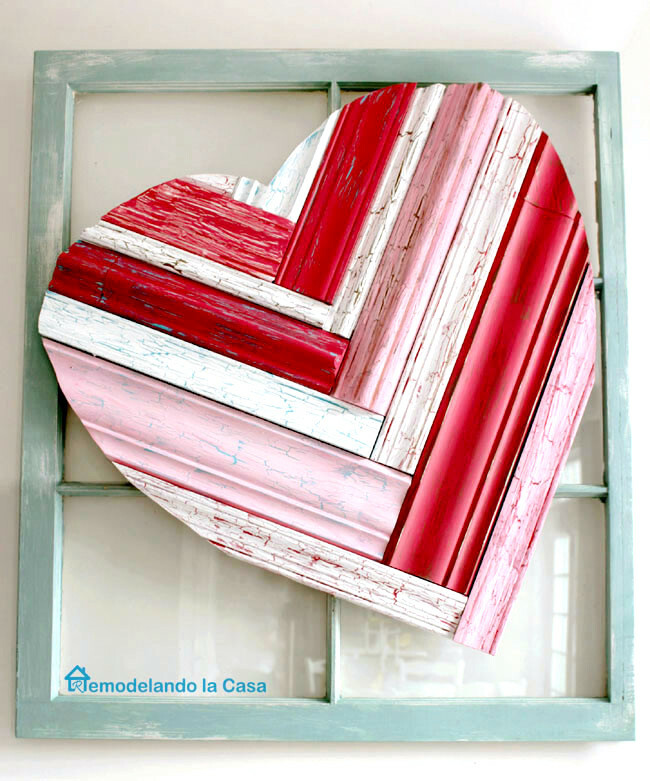 Ready to show your own upcycled projects AND salvaged hearts? Link up below! 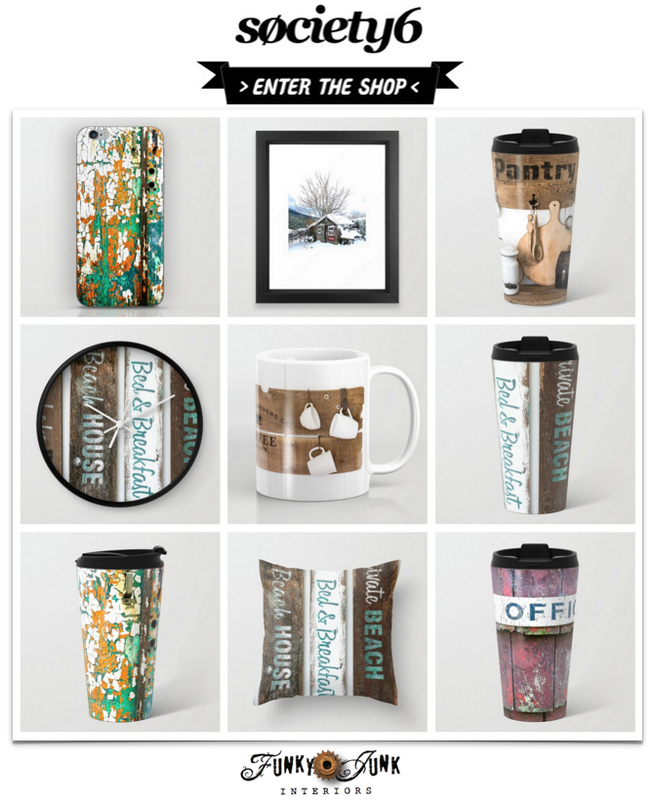 So many creative hearts in one place…heart them all! Thanks for the party Donna. 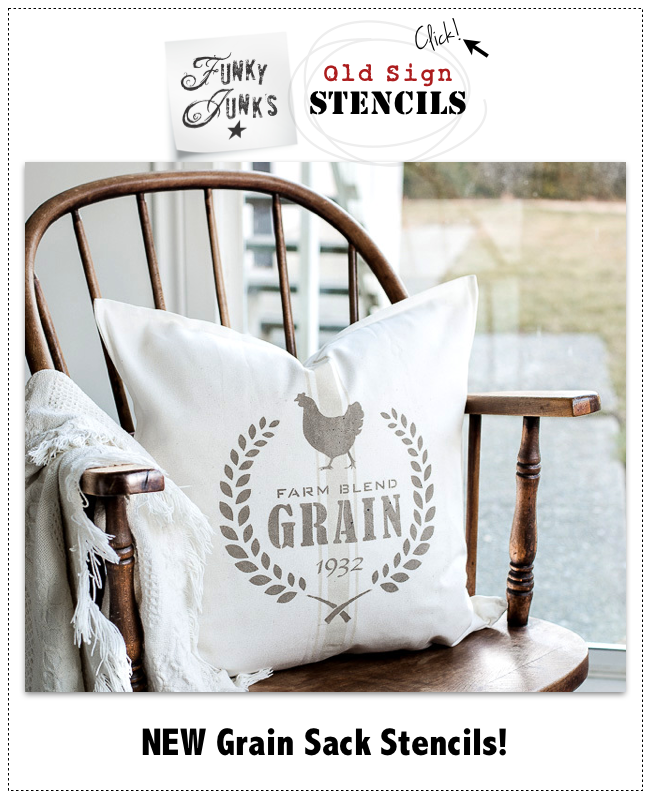 Great ideas for hearts. I love them all year long. Thanks for hosting. I’ll take one of each please. Thanks for hosting. 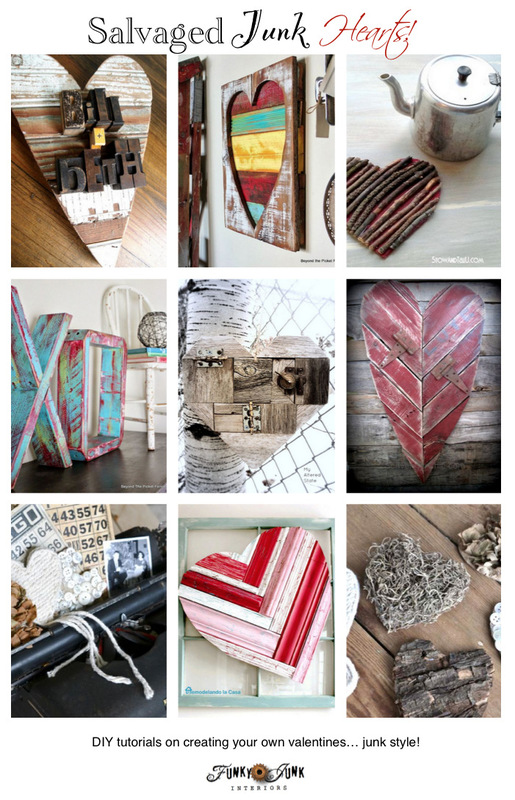 I LOVE all the salvaged heart ideas, thanks for the party Donna! 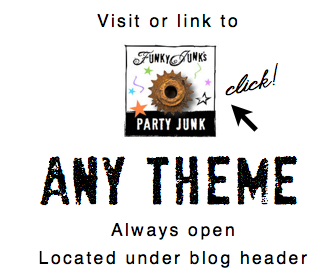 There’s lots of junky love out there, and I’m feeling it! Love the hearts. 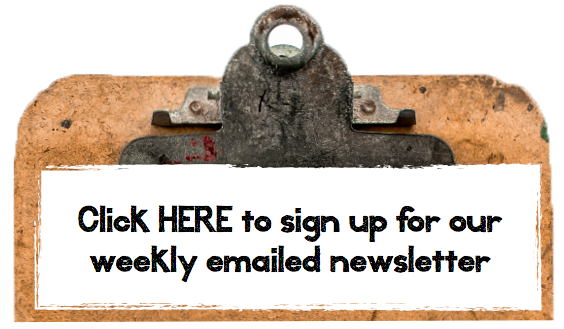 Thanks for the linkup and have a great weekend. Wow, they are all great looking! 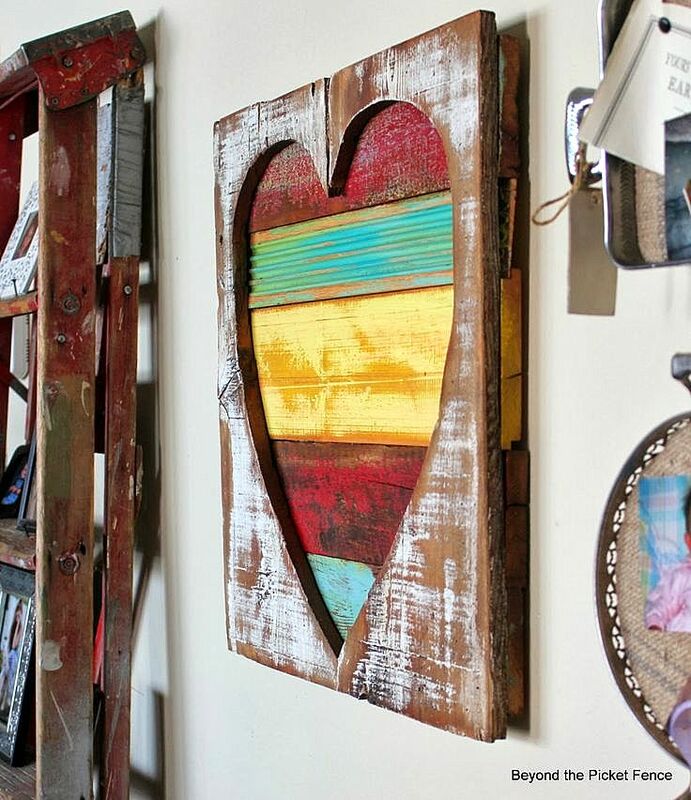 Thanks for including my reclaimed barnwood heart Donna. It’s a honor to be among all the heart love. 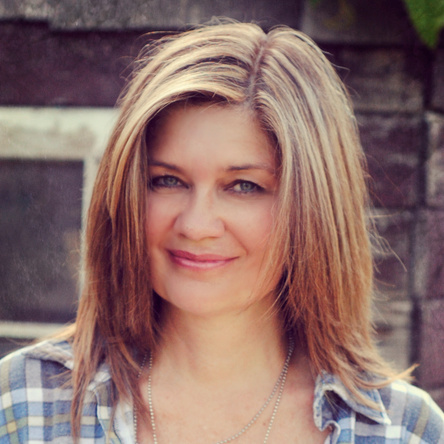 Thanks Donna for sharing my projects!! I was out of town and away from the computer all weekend, so just catching up now. What a nice surprise!